for the release of the girls by the government. This is coming barely 24 hours after President Goodluck Jonathan held a media chat on the issue. 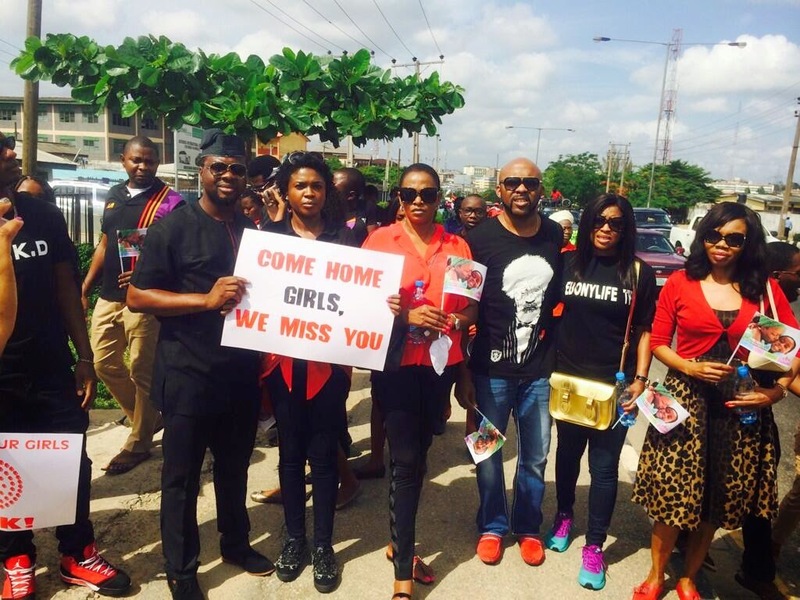 Banky W, Waje, Omoni Oboli and Yemi Alade were among the celebrities who trooped out to hold a peaceful march to the premises of the Lagos State House of Assembly at Alausa, Ikeja. The artistes were unanimous in their requests, that is, ‘bring back our girls’.